Leonard Helgoth, 79, of David City, died Sunday, February 4, 2018, at St. Joseph's Villa In David City. Thursday, February 8, 2018 10:00 a.m.
Leonard J. Helgoth was born January 17, 1939 in David City, Nebraska to Charles and Catherine (Spiecher) Helgoth. He graduated from David City High School. Leonard served in the United States Army. Leonard lived and farmed on the family farm that was homesteaded in 1883. 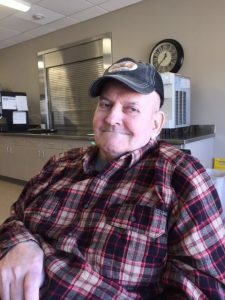 He was a lifelong Butler county resident, and a member of St. Francis Catholic Church, Center. Leonard especially enjoyed working with his brother and nieces and nephews in the Helgoth watermelon business. He is survived by nieces and nephews. Preceded in death by his parents, brothers Richard and Louis, sister Lucille Vanis.